Mermaids = half human, half fish (At least this is what I've been taught in most fairytales and what I personally see these seductive creatures as). This means no "stiff" cardboard like flukes or fins. Instead the flukes of mermaid's tail should be flexible and translucent to an extent. This is why I decided to develop the Fantasea Fin and Spellbound Tail lines. You don't see fish with "hard" flukes, do you? The last time you looked at a painting of a mermaid or mermaid related art, the fluke looked flowy, right? I mean, when's the last time you saw a fish swimming around with a piece of cardboard taped to its fluke! 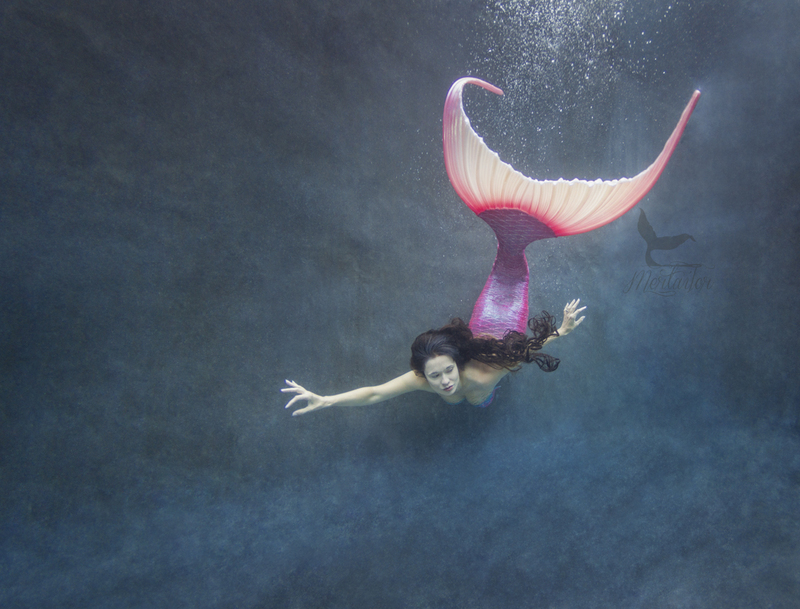 The Fantasea Fins and Spellbound Tails have proven themselves as perfectly realistic mermaid tail options for those who are looking for a realistic appearance and movement underwater. Let's not forget about their comfortably. 99.9% of those who try the Fantasea Fin or Spellbound Tails for the first time fall in love. While some individuals prefer fast speeds underwater, the Fantasea and Spellbound lines provide a beautiful realistic movement and appearance, which has a nice propulsion underwater. Let's talk about the whole size queen thing... Yes, I know, many of you like "Big Flukes"! It's not the size that could but how you can make it work, right? Realistically, if you study a fish's anatomy, you will notice that the fins and flukes on a fish are generally smaller in size. Perhaps goldfish, butterfly koi, and beta fish have longer flowing fins, but these fish are generally swimming extremely slow, gliding through the water effortlessly. I for one feel that the Fantasea and Spellbound Tails have the best of both worlds! I almost forgot! For those who like their "Big Flukes", these are the individuals who end up complaining about their feet hurting, stressing about having to drag the heavy brick around (Do you know how many tails I've personally had to carry for mermaids because their flukes are too big for them - LOL), and not being able to travel with it because its so BIG! These tails are perfect for your next mermaid adventure!